Delivered promptly as stated, all seems absolutely fine, would recommend them. Just remember to check carefully dimensions of your battery housing. There maybe cheaper options but half to one cms difference in size could make all the difference. Battery is right for the bike. Ordered and delivered within 24 hours. Perfect. 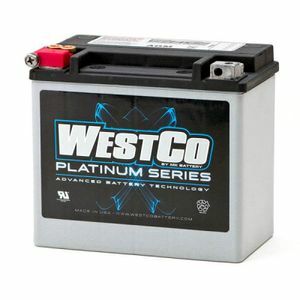 A brilliant battery- well worth the extra, brilliant flawless service, highly recommended. Adapté à: Kawasaki kvf360 quadbike 360cc unknown. Early days yet but so far everything promised has been delivered turned over and started bike straight from the box. I don't use the bow much during the winter but when I do I want it to start straight away.This seems to be the one - time will tell. Powerful top of the range battery.. Delivered fast and great service.. Very good service, quick delivery, great customer support. Battery being used in a Yamaha XV1700 Warrior with a modified battery box. Fits well with no issues. Now this Battery is spot on for my XB12R Firebolt am very happy with this!! Adapté à: Buell XB1200R Firebolt. 1,200cc Late 2006 it's actually an 07 model. Excellent improvement over original fitting on 888 Ducati. Minor work needed to make it fit but worth it.